For many years now the Celtic poet, peacemaker and scholar John Philip Newell has been writing about the sacredness of being, the of-Godness that is at the heart of our lives and all life. In this new work he asks what the world in general—and Christianity in particular—would look like if the true depths of our sacredness were to come forth in radically new ways. 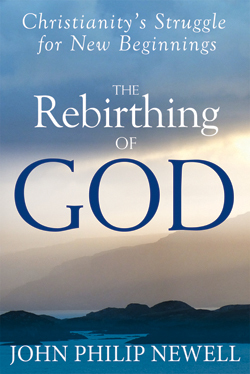 Drawing on modern prophets from East and West, and using the holy island of Iona as an icon of new beginnings, this book speaks directly to the heart of Christians—those within the well-defined bounds of Christian practice and those on the disenchanted edges—as well as to the faithful and seekers of other traditions. It offers the hope of a fresh stirring of the Spirit among us and the invitation to be part of laboring in a new holy birth of sacred living, a true rebirthing of God. SKU: 978-1-59473-542-4. Categories: Books, John Philip Newell, New Releases. Tag: w.